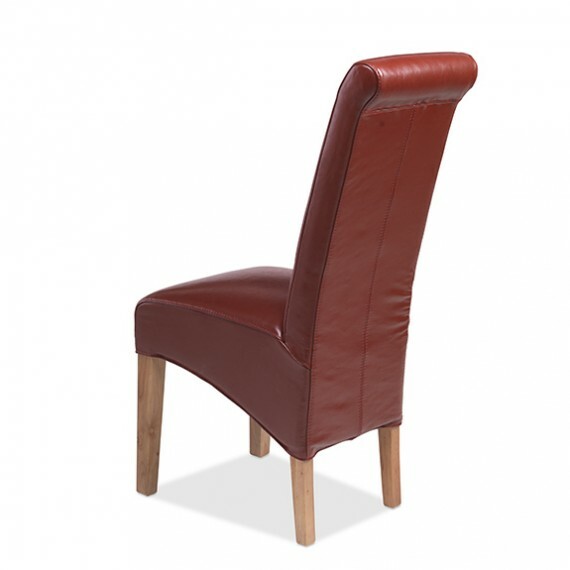 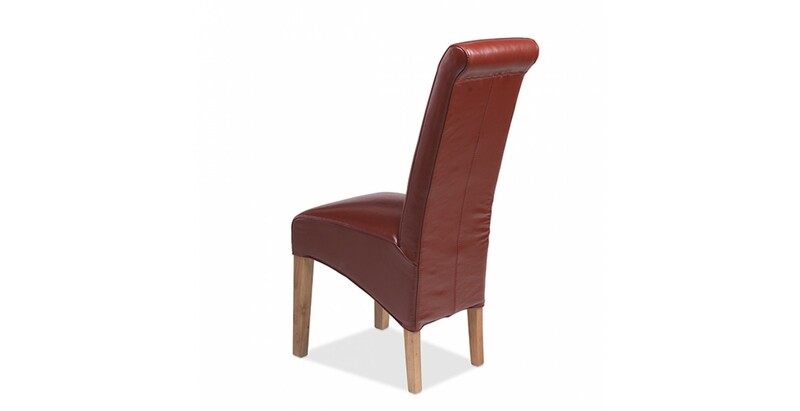 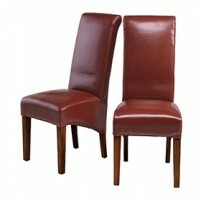 Covered in luxurious red leather, this brace of sturdy chairs will contrast beautifully with any of our Cuba Oak tables. 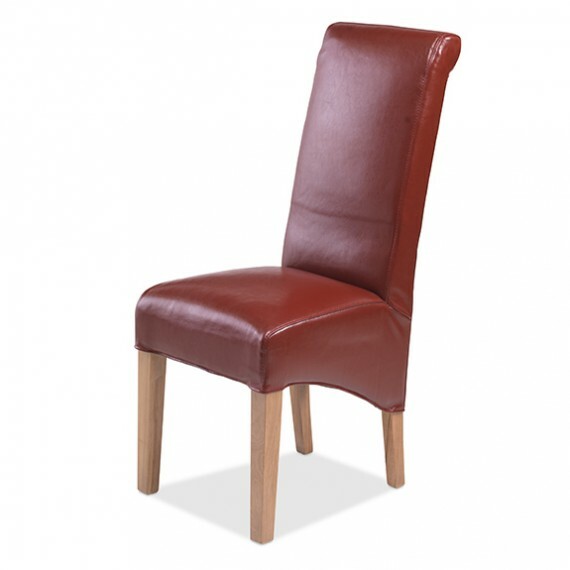 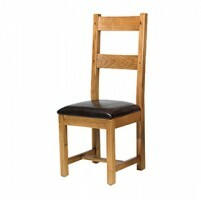 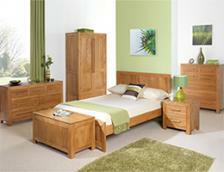 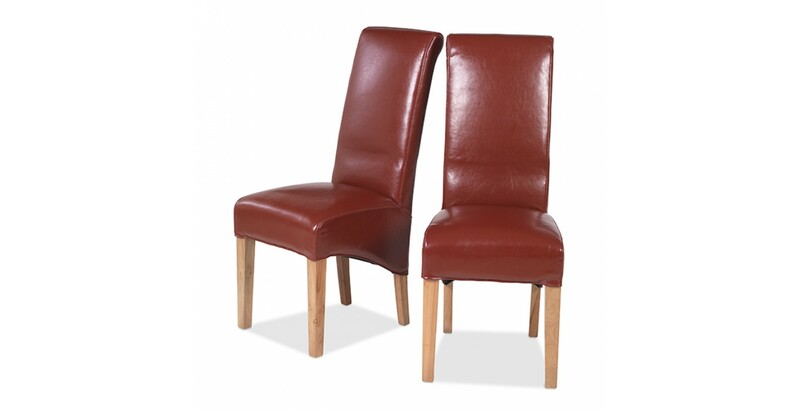 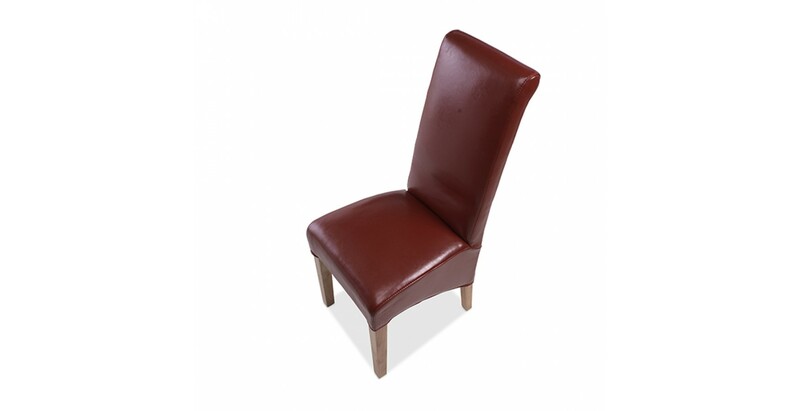 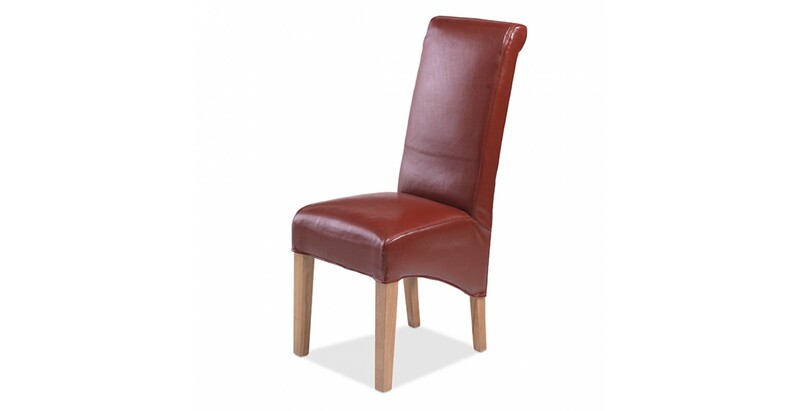 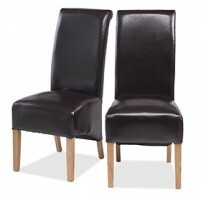 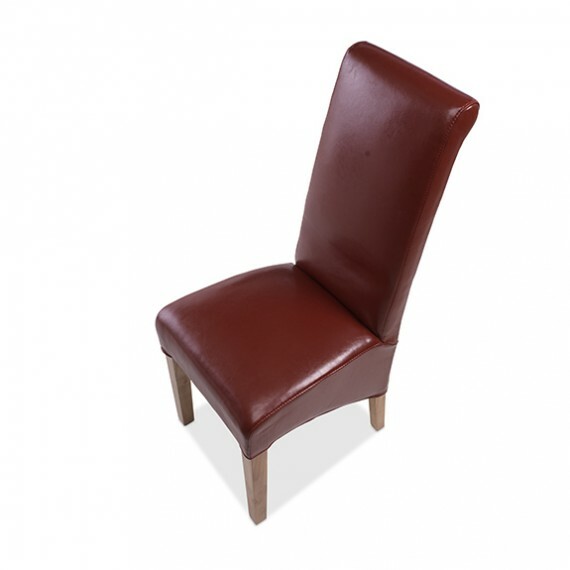 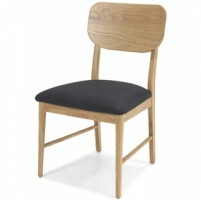 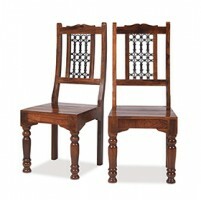 Padded seats and backs ensure comfort, while the oak legs give them strength and durability. 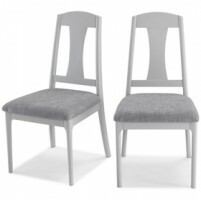 Strikingly contemporary, they'll bring a lovely splash of colour to your dining space.